More and more U.S. residents are making the choice in recent years not to marry. However, this does not mean that they have chosen not to have children. Correspondingly, many more children are being born to unmarried persons. This opens up multiple questions regarding paternity, custody, support and the like. It is extremely important to understand what is and is not an option for you going forward, especially if you want to be an active presence in your child’s life. The first major hurdle one tends to face in obtaining some form of custody is that of paternity. With married parents, the mother and the mother’s husband at the time of conception and/or birth are presumed to be the biological parents. With unmarried parents, there are more steps involved, although it is not necessarily difficult. One method is for both parents to sign a Voluntary Acknowledgment of Paternity form, which is then filed with the Office of Vital Records and used to produce the birth certificate. However, if the mother attempts to block the father from acknowledging paternity or having access to the child, he may bring suit in a Nevada court in order to undertake a DNA test. Alternatively, a mother may bring a paternity suit if the alleged father refuses to acknowledge the child. DNA tests are conclusive in all but the most unusual cases. However, paternity does not custody – it grants the right to petition the court for it. It also impacts child support. 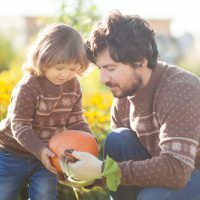 Once paternity has been established, Nevada law mandates that custody be determined in keeping with the best interests of the child, and it is generally held that having relationships with both parents is best unless one or both are unfit. There is a significant list of factors that will be considered by the court in order to establish what truly would be best for the child, including the child’s own preferences (if they are old enough to have any), the child’s relationship with each parent, the possibility of having to move and reestablish relationships at school or in the community, the parents’ mental health and/or any history of violence, and many others. It is fairly common for Nevada courts to award joint custody, especially if the mother and father are able to sit down and work out a parenting plan. As long as you are able to show good character and the ability to give the child a stable home life, it is likely that the court will grant at least joint legal custody. Paternity actions can become very personal, and custody battles can become very complex, even when the parties are married. Having a knowledgeable paternity and custody lawyer on your side can help minimize some of the confusion and delay that can result when the stakes are high. The attorneys at the Kainen Law Group are well versed in such cases, and are happy to sit down with you and try to help suggest a way forward. Call us today to set up an initial appointment.